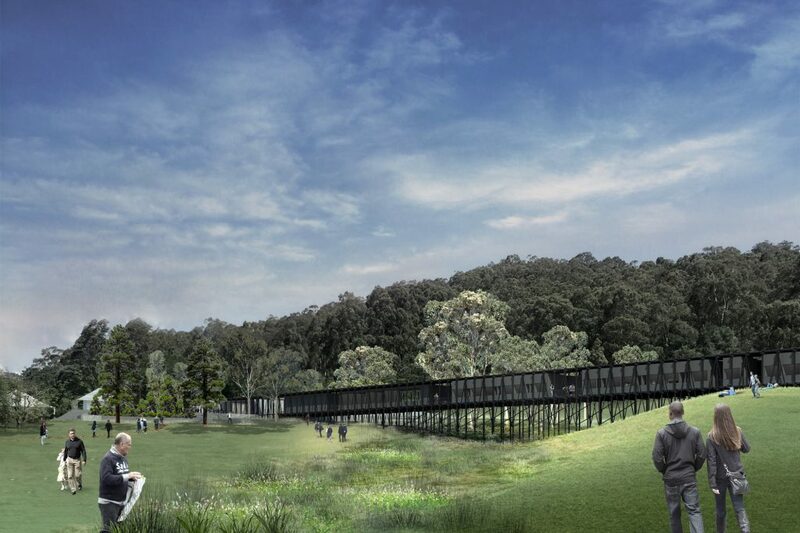 Bundanon Trust today revealed the Masterplan design for Arthur Boyd’s iconic Riversdale property in regional New South Wales created by Kerstin Thompson Architects (KTA), following their unanimous appointment in November 2016 from a shortlist of six Australian architecture firms. The Masterplan design of Riversdale situated on the 1100-hectare property gifted to the Australian people by Arthur and Yvonne Boyd in 1993, includes a world-class creative learning centre for school students, a contemporary visitor hub, accommodation and a 380-square-metre light-filled contemporary art gallery – partially buried into the landscape – that will house the Trust’s $37.5 million Arthur Boyd art collection. 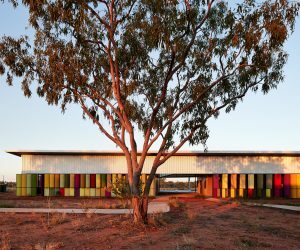 Prioritising the existing landscape and its ecology, and responding to the current and future climatic conditions of the site, the design draws on the distinctive Australian native bushland and rural Australia’s flood ‘trestle’ bridges as points of inspiration. 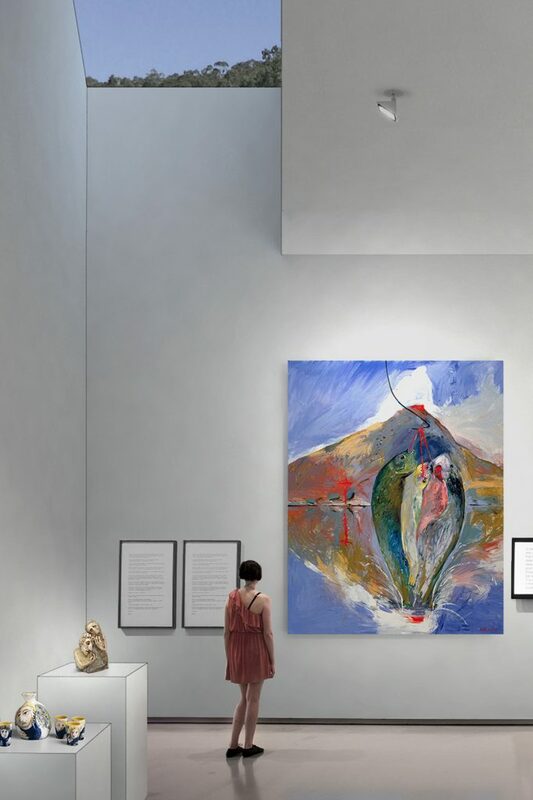 The new facilities are housed within a new 140-metre-long by 9-metre-wide structure that at one end abuts the art gallery within the sloping hillside, continuing along to bridge an existing gully. The new bridge structure lands near the existing cluster of nineteenth-century buildings on a level public plaza offering an arrival hall, café and visitor services. The covered extension to the bridge leads to the subterranean contemporary art gallery opening into the hill behind. Through roof highlights, it captures glimpses of the prevailing landscapes contrasts – between the dark forest and clearings – so that visitors can enjoy the artist’s imaginary Shoalhaven landscapes alongside the actual one surrounding them. Central to the Masterplan design, the new subterranean contemporary art gallery will house over 3,800 items featuring more than 1,300 artworks by Arthur Boyd plus works by leading Australian artists including Boyd peers Sidney Nolan, Charles Blackman, Brett Whiteley and John Perceval, as well as contemporary works drawn from participants in the Trust’s artist in residence program. 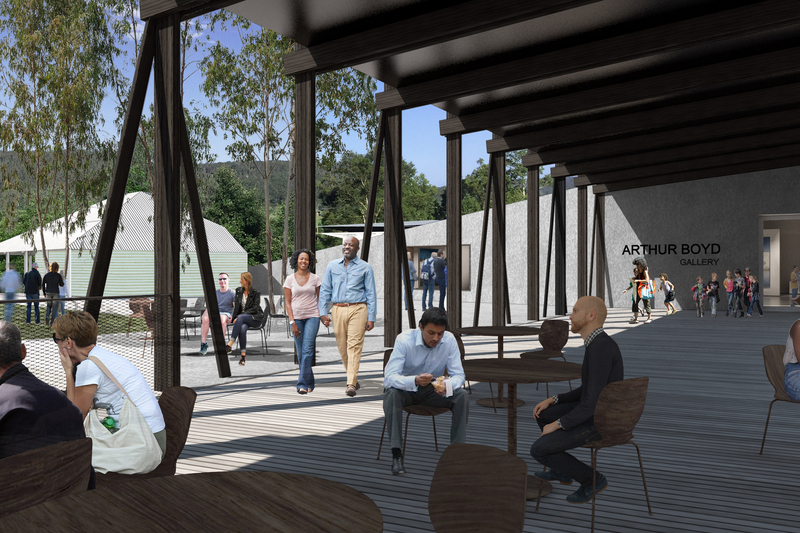 The design incorporates a new creative art facility housing 32 new bedrooms and accompanying bathrooms, teaching spaces, dining and visitor facilities on top of rolling hills and a deep gully. It also reinforces the significance of the existing cluster of buildings, including the original houses, art studio and the contemporary Boyd Education Centre designed by acclaimed Australian architects Glenn Murcutt, Wendy Lewin and Reg Lark, which remain at the heart of the experience of the site. The existing and new buildings are united by a common forecourt that is the culmination of the stepped arrival terraces, which also make fully accessible the site’s considerable level changes. Bundanon Trust CEO Deborah Ely commented, “Kerstin Thompson and Megan Wraight have developed a design with a rare marriage of landscape and architecture that responds to and amplifies the qualities of the site. The design promises a transformed visitor experience and a building that is both iconic and responsive to site conditions. The estimated cost for the Riversdale project is $28.5 million with funding currently being sought from the Commonwealth and State Governments. The development is anticipated to lead to substantial regional economic benefits including $51 million of spending and 142 jobs during the construction phase, with an additional $10.4 million and 59 jobs to flow into the economy once the site is complete. 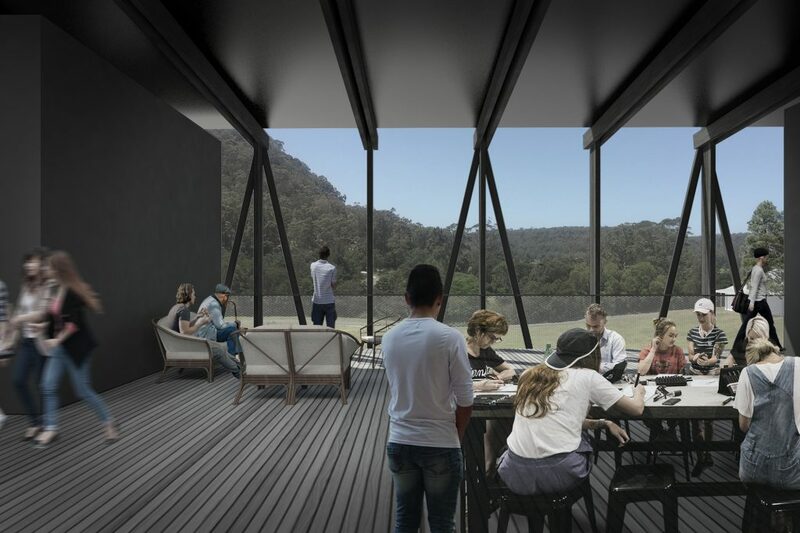 The Masterplan will increase visitation by more than 100% and secure Bundanon as a leading cultural and tourist attraction in regional Australia, whilst delivering substantial economic benefits to the Shoalhaven region in New South Wales. 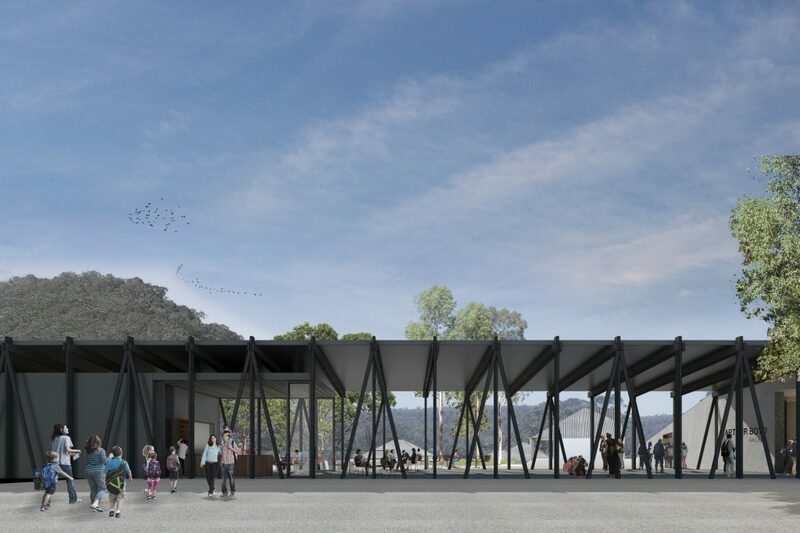 KTA was unanimously appointed in November 2016 to design the Masterplan from a shortlist of six architecture firms by a jury chaired by John Denton, Director of Denton Corker Marshall, and including Bundanon Trust Chair Shane Simpson AM, landscape architect and newly appointed Dean of Design, Architecture and Building at UTS, Professor Elizabeth Mossop and Brian Zulaikha, Director of Tonkin Zulaikha Greer. The full design team includes Kerstin Thompson Architects, Wraight + Associates with Craig Burton (landscape architecture and ecology), Atelier10 (environmentally sustainable design) and Irwin Consulting (structural and civil engineering). The group worked closely with Bundanon Trust staff, and other stakeholders during the design concept phase.